Peel away the thin veneer of technology and sophistication that our civilization depends on, and we begin our inevitable descent into decline and ignorance. Would our changed circumstances somehow change our intrinsic humanity? Whether we live in the lap of luxury, imbued with knowledge, and with every convenience and advantage available to us, or if we suffer in the depths of poverty, ignorance, and difficulty, we still search for human connection and togetherness. In The Only Words That Are Worth Remembering, a darkly humorous novel by Jeffrey Rotter, the near future has turned into a new Dark Ages. The earth is once again the center of the universe, the sky is made of an impenetrable Night Glass, and the Sun is a gap in the glass through which the ether leaks. Relics of the past abound, but no one seems to know their original purpose. The scrappy Van Zandt family lives in a post-apocalyptic city in what used to be Florida. Pop and Umma both have jobs, at least for the present, and twin brothers Rowan and Faron are learning a vocation. Pop gets into trouble defending his winnings in a contest at work (well, he pushes an aggressor into a vat of bubbling boiling egg yolks), which sets off a cascading chain of events culminating in a tour bus hijacking by Rowan and Faron that eventually force the family to make an impossible choice: going to live in separate prisons for the rest of their lives, or volunteering to be test subjects in a rediscovered rocket to be launched to Europa, one of Jupiter’s moons. A much older Rowan writes the story of his life for his young daughter, hoping that she will someday forgive him for the choices that he has made. His legacy to his daughter is the gift of knowledge and the curse of loneliness. He recalls the last happy time that the he enjoyed in the bosom of his family, when they had a full meal, a safe place, and lots of weed, music and singing. The only words worth remembering now and forever are sorrow and solitude. Add The Only Words That Are Worth Remembering to my favorites in post-apocalyptic literature! It should join the canon along with such classics as Alas, Babylon, A Canticle for Leibowitz, Earth Abides, and Riddley Walker. How well do we ever really know another person? In Days in the History of Silence (Merethe Lindstrom), a man dealt with the legacy of the Holocaust by not speaking. In Diary of the Fall, a grandfather dealt with the legacy of the Holocaust by recording false memories of his past in a diary. In The Travels of Daniel Ascher, a great-uncle deals with the legacy of the Holocaust by fictionalizing his present, writing adventure stories as allegories for his past. The written word has the capacity to be powerful. It has the power to hide us and it has the power to reveal us. It also has the power to save us. Most people live their life before they write about it. But most people are not Holocaust survivors. 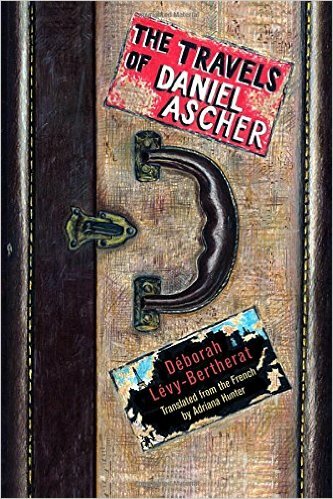 In The Travels of Daniel Ascher, a wonderful novel written by Deborah Levy-Bertherat, Daniel Roche not only survived the Holocaust, he has become the successful writer of a famous series of adventure stories for children. The Black Insignia series, written under the pseudonym H. R. Sanders, is as famous in France as Tintin or the stories of Le Petit Nicolas. Helene Chambon, Daniel’s great-niece, lives in Daniel’s apartment in Paris while she is studying archeology at university. She has grown up with the legend of her world-traveling great uncle, but also with the knowledge that Daniel is considered something of a black sheep within the family. Daniel is hardly ever at home, always traveling to gather background for his novels, and Helene begins to discover that she really does not know him at all. She knows that Daniel is not her biological uncle, but was a Jewish orphan adopted by her great-grandparents, and that his birth name was Daniel Ascher. She finds out that his neighbors know him far better than most of his family members. She discovers that Daniel grew up in an apartment block close to where she is living now. She discovers that shopkeepers know him as Daniel Ascher, not Daniel Roche. She discovers that Daniel had a sister. She discovers that he has relatives in America, and that he had visited them after the war. Helene begins to wonder exactly why her family considers Daniel to be a bit of a black sheep, and she digs deeper into his past, as though it were an archeological dig. The clues are there, if she can only follow them. The clues are like one of those Russian matryoshka dolls, with each layer revealing yet another layer. Objects are physically hidden in other objects. Objects also assume other meanings. Photographs are not what they seem. Names are not what they seem. Words have more than one meaning. Biblical references abound. There are stories within stories. And a scrap of yellowed paper written in Hebrew may hold the key to everything, if only Helene could read it. As Helene discovers Daniel’s hidden past, she begins to question how much of his present life is true. Daniel’s history in the Roche family is revealed in an explosive family scene. But it is a small book that fills in all the unanswered questions about Daniel’s past; a small book, that in my mind at least, resembles one of the beautiful books of Peter Sis. Daniel comes to terms with his past by letting it go. He begins to live the life that he has been writing about all these years, the life that everyone thought he had been living. I read this novel in a day, in my pajamas, without leaving the sofa. I would recommend the same for anyone who reads The Travels of Daniel Ascher. When I finally got my paws on a copy of Spencer Quinn’s newest mystery Scents and Sensibility, I knew I was in for a treat! Quinn is so great at writing the way I and my kind think, I just love his Chet and Bernie books! In this newest book, Chet and Bernie are finally back in the valley, only to find Bernie’s house burgled and their next door neighbor mixed up with the law! The great thing about this book, what really makes my tail wag, is that the mystery starts on a personal note for Chet and Bernie, and then just shoots off from there, getting better with each page, like a nice big rawhide chew. Its a story I can really sink my teeth into and that’s saying something–everyone tells me they’re really big. For anyone who’s already a Quinn fan, this book will not disappoint you! For anyone who’s just hearing about Chet and Bernie’s mysteries now, the first is called Dog on It, but I don’t really think you need to read them in order; each mystery is contained in its own book–you can start with this new one if you want! You should totally read them all though, they’re more fun than chasing a tennis ball on the beach! Quinn’s solid, well-thought-out mysteries are full of excitement and witty writing and are the second best thing to a nice meaty steak. Oh and I almost forgot, this book has a surprise in it! A new character who . . . well, you’ll just have to stop by Eight Cousins and pick up a copy to see what I mean. I’m so psyched about Woof, Spencer Quinn’s new doggy mystery for puppies in grades 3-5! I’ve always watched the bigger dogs read the Chet and Bernie mysteries and love them, so now it’s great there’s a book for a pup my age to enjoy too! I could just leap seven feet in the air with joy–in fact, nothing’s stopping me . . .
Just like the Chet and Bernie books, Woof is told by one of my guys, a big, fluffy, loveable dog (Bowser) who’s just been adopted by a girl (Birdie) who lives by the bayou in Louisiana with her grandma. Turns out a thief has taken her great grandfather’s prized black marlin from her grandma’s bait shop, and it may or may not contain the secret to a hidden treasure in it! The sheriff is . . . less than helpful, so it falls on Birdie and of course Bowser to get to the bottom of the crime! Reading a story in the bayou of Louisiana really makes my tail wag, it’s such a cool place to set a mystery! Quinn puts in so much great detail, he really uses the setting to spice up the story, not that the story needs spicing, because it’s a fantastic story, harrowing at the right times, with a good sense of humor, and a really juicy mystery. Quinn adapts his style from the Chet and Bernie books perfectly, this book is just as good as the adult variety, so puppies can enjoy this great kind of mystery too! The narration by the dog is, as always, super on point! Just like my mom’s cooking . . . which I take off the table when she isn’t looking . . .
Sara Farizan is funny. Like really funny. She has that perfect deadpan sense of humor and sometimes you have to listen closely to catch her spot-on commentary. After you meet her, you will want her to be your best friend. Get in line; every bookseller who has met her feels the same way. If You Could Be Mine examines relationships and first love — complete with all the requisite roller coaster emotions. Tell Me Again How a Crush Should Feel has a witty main character, also with the perfect deadpan sense of humor and spot-on commentary. David Levithan breaks boundaries every time he writes a book. In Boy Meets Boy, he exploded the ‘traumatic coming out story’ trope. In Two Boys Kissing, he fearlessly included a cover photo of two boys kissing. He’s written in prose, verse, dictionary, and now musical. Feel free to debate whether ‘dictionary’ is actually a genre. Each of his books is unique. It’s almost impossible to say that one is better than any other. They are all differently amazing. The event is called “Conversations with David Levithan and Sara Farizan” and you get to participate! Send us your questions via Facebook, Twitter, email, in the comments below, however you want. We’re putting together a list of reader questions for these two fantastic authors to discuss. Maybe yours will be on it! At the event we will be giving away Advance Reader Copies of George, by Alex Gino, edited by none other than David Levithan. This fantastic new middle-grade novel is about George, who desperately wants to play the role of Charlotte in her school play, so that the world can see her as the girl she knows she is inside. George will be published in August, but we have three copies to give away on July 15. See you on July 15th! People seem worried that Harper Lee’s new old book won’t live up to her classic To Kill a Mockingbird or that it will somehow tarnish Atticus if we see his limitations in Go Set a Watchman. Nothing about this new book will disappoint me. If it’s not as good as the book she went on to write, it will still give us a glimpse into her writing life, her development as a writer. We’ll get to see her with her nascent style before editors helped her polish and rewrite. If it shows Atticus to be a less heroic figure and more a product of his time, then that will enlighten all of us—particularly when we are struggling to come to terms with our own prejudices. 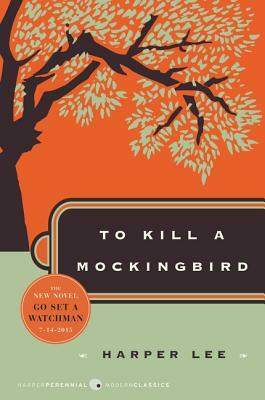 I can’t wait for Monday night at midnight to hear again from Harper Lee. I love books that reflect on books. Rebecca Stead’s When You Reach Me shows Madeline L’Engle’s A Wrinkle in Time in a new light. Escape from Mr. Lemoncello’s Library by Chris Grabenstein reads like a love letter to the best books in children’s literature. Now, we have George. George, the title character, wants desperately to play the role of Charlotte in her class’s production of Charlotte’s Web. Not only does she love Charlotte’s dialogue and the idea of playing such an iconic role, but she knows that playing Charlotte will show the world who she is on the inside, not the boy that everyone sees on the outside. Charlotte is exactly the literary character to help facilitate George’s longing. Charlotte is welcoming, “Salutations!” She’s supportive, “Some Pig.” But most of all, she’s smart; she’s a critical thinker and she demonstrates agency. Charlotte knows what will happen to Wilbur before he does, and in order to protect him she facilitates a change in the way the world views Wilbur. After Charlotte saves Wilbur, she passes her legacy to the next generation. We all know these things about Charlotte, which is why she has remained one of the most beloved characters in children’s literature. Having Charlotte as George’s inspiration is fitting. Kids, particularly kids like George, need to be welcomed. They need support. And they need people around them who are critical thinkers, who demonstrate agency, and who can change world perception. Moreover, George needs to see herself as Charlotte, because she too needs to be welcoming, supportive, thoughtful, and possessing agency to make change. Readers will find themselves cheering for George and hoping that she will have the chance to become such an iconic character, and maybe even change the world. In turn, they will be inspired to become everything that Charlotte and George represent. 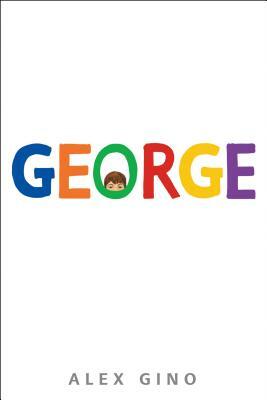 The tag line for George is “Be who you are,” something Charlotte taught us years ago, but Alex Gino’s book takes this classic message and reframes it for a new generation. Terrific. A wise friend (Sara from Eight Cousins) told me that books are windows through which we can see other’s worlds or mirrors which give us an opportunity to see ourselves in print. As a teacher librarian for 5th and 6th graders, I cannot express how much I feel George has to offer my students. I absolutely loved it, and believe that it could help build such a sense of community for my students by providing some with empathy and others with a sense of belonging. Before I became a library teacher, I taught 5th grade for years. To my knowledge, I have only had one transgender student. Yet, this book gives me pause and makes me realize that I could have had many, many more. If that student, or students, had George to read, I think they would have felt so much less isolated, and far less tortured. I think George is a must-have for any middle school library. I absolutely loved this book, miss George now that I am done reading and can’t wait to purchase it and put in on the shelves in August! 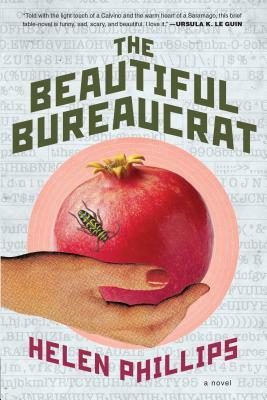 A young couple leaves “the hinterlands” for an unnamed city, in search of employment. They both find work in a large concrete office building with no windows and limited points of entry. Neither of them is allowed to talk about their work. Her job is to cross-reference strings of numbers and letters, and then enter a date into “The Database”, but she is not to question what this work is or why it is necessary. Her only real job requirements are to have an eye for detail and good eyesight. As the stress of this mind-numbing drudgery slowly overwhelms her, she comes to the horrifying realization of what “Data Entry” actually is. She cannot even turn to her husband, as he seems to be home less and less. The sense of menace and isolation that has been lurking under the surface since the first page becomes almost unbearable at this point. There is no way out, both literally and figuratively. She must make choices. So must he. And the choices they make, in a stroke of pure genius, turn this novel into a kind of life-and-death version of “The Gift of the Magi.” More than that, I am not giving away. You have to read it for yourself!